INVESTIGATION STATUS: Preliminary Report Published - May 1st, 2014 (HERE) / Interim Report Published - March 8th, 2015 (HERE) / Interim Statement - March 8th, 2016 (HERE) / First Principles Review Report, Dec 2016 (HERE) / 3rd Interim Report Published - March 8th, 2017 (HERE). Final ATSB Seabed Search Report (HERE). Full MH370 Annex 13 Safety Investigation Report + Appendices, July 2018, (HERE). MH370 was a passenger flight travelling from Kuala Lumpur to Beijing that disappeared on 8th March 2014 at 01:20 MYT after losing contact with Malaysian air traffic control (ATC) during a routine handover to Vietnam ATC. It disappeared from civil aviation radar less than an hour after takeoff. At 07:24, Malaysia Airlines reported the flight missing 6 hours after loss of contact by ATC. The aircraft was carrying passengers from different 15 nations. The largest multinational search effort in history was instigated and began in the Gulf of Thailand and the South China Sea, where the flight's secondary radar signal was last detected. The search was eventually extended to the Strait of Malacca and Andaman Sea. 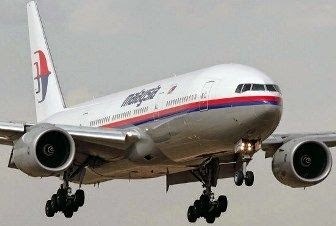 On 15th March, based on military radar data and transmissions between the aircraft and an Inmarsat satellite, investigators concluded that the aircraft had diverted from its intended course and headed west across the Malay Peninsula, then continued on a northern or southern track for almost seven hours. The focus of the search shifted to the southern part of the Indian Ocean, off the coast of western Australia. In the first two weeks of April, aircraft and ships deployed equipment to listen for signals from the underwater locator beacons attached to the aircraft's black boxes (voice and data recorders). Four unconfirmed signals were detected between 6th and 8th April near the time the beacons' batteries were likely reaching the end of their charge (usually 30 - 40 days). A robotic submarine searched the seabed near the detected pings until 28th May, but no debris was found. An analysis of possible flight paths was conducted, identifying a 60,000 km2 (23,000 square miles) search area, approximately 2,000 km (1,200 miles) west of Perth, Western Australia. The underwater search of this area began in August 2014 by Furgo Survey, who will conduct mapping and sonar tow searches. The search is expected to last 12 months at a cost of US$56 million. The only evidence of the plane's flight path after it disappeared from civil and military radar over the Andaman Sea are communications between the aircraft's SATCOM box and a satellite over the Indian Ocean. Analysis of these communications by multiple agencies has concluded that the flight most likely ended in the southern Indian Ocean. On 24 March, the Malaysian government, noting that the final location determined by the satellite communication was far from any possible landing sites, concluded that Flight MH370 ended in the southern Indian Ocean. Flight MH370 is the worst aviation incident in the history of Malaysia Airlines and the deadliest involving a Boeing 777. However, this statistic was surpassed in 17th July 2014 when Malaysia Airlines Boeing 777—Flight 17—was shot down over Ukraine killing all 298 people aboard. 00:26 01:07 17:07 Last ACARS data transmission received: crew confirms altitude of 35,000 feet, a second time. 00:26–1:22 01:07–2:03 17:07–18:03 Satellite communication link lost sometime during this period. 00:38 01:19 17:19 Last Malaysian ATC voice contact. 00:44 01:25 17:25 Aircraft deviated from planned route. 00:49 01:30 17:30 Voice contact attempt by another aircraft, at request of Vietnam ATC; mumbling and radio static heard in reply. 01:22 02:03 18:03 Malaysia Airlines dispatch center sent a message to the cockpit instructing pilots to contact Vietnam ATC, which was not responded to. A ground-to-aircraft ACARS data request, transmitted from the ground station multiple times between 02:03-02:05 MYT, was not acknowledged by the aircraft's satellite data unit. 01:34 02:15 18:15 Last primary radar contact by Malaysian military, 200 miles (320 km) NW of Penang, 6°49′38″N 97°43′15″E﻿ / ﻿6.82722°N 97.72083°E﻿ / 6.82722; 97.72083﻿ (Last primary radar contact, 8 March) (Occurred at 02:22, per ATSB. 01:44 02:25 18:25 'Log-on request' sent by aircraft to satellite. Satellite communication link is re-established after being lost for between 22–68 min. Sometimes referred to as the first hourly 'handshake' after disappearing from radar. 01:58 02:39 18:39 Ground-to-aircraft telephone call, via the aircraft's satellite link, went unanswered. 06:32 07:13 23:13 Ground-to-aircraft telephone call placed by Malaysia Airlines, via the aircraft's satellite link, went unanswered. 07:38 08:19:29 00:19:29 Unexplained 'log-on request' sent by aircraft to satellite. Sometimes referred to as a 'partial handshake' transmitted by aircraft. 07:38 08:19:37 00:19:37 After the ground station responded to the log-on request, the aircraft replied with a 'log-on acknowledgement' transmission at 08:19:37.443 MYT. This is the last transmission received from MH370. 08:34 09:15 01:15 Aircraft did not respond to a scheduled, hourly handshake attempt by Inmarsat. On March 8th, 2015 the Malaysian Ministry of Transport (MOT) published its Interim Report in accordance with ICAO rules. There is not a lot new in the report as far as progressing the search for MH370. The Interim Report consists of an accompanying statement and a factual document totalling almost 600 pages, mostly consisting of technical data, repair records, radar charts and full work details of the crew. 1. There is little here that the MOT and DCA in Malaysia could not have made available in the preliminary report. 2. The radar charts represent the data collected but are not the original radar data shots. 3. There is little factual detail backed up with explanation on the Inmarsat data and how it was deciphered, calculated and delivered, considering the entire search is based on this. 4. One of the most welcome aspects of this report is finally having all the ATC transcripts from centres and the full audio communication received from MH370. 5. The report (as near as any report can at this stage) finds no evidence that the Captain and First Pilot are suspected of wrongdoing and no evidence for suspicion of crew hijack. In regards to this, the report is in stark contrast to what Malaysian authorities were alluding to for months after the loss of MH370. 6. Unfortunately the report does not resolve the missing manifest NBR01, which may or may not refer to the baggage containers. We may never know. But what it does do is show where every piece of cargo was stored on the plane, including a consignment of Lithium batteries. 7. The lithium battery cargo was stored mid to front in the cargo bay and the containers in front were left empty. 8. The ATC transcripts reveal a chaotic period of confusion lasting nearly four and a half hours after contact was lost with MH370. 9. The ping beacon in the Flight Data Recorder may or may not have been replaced. It highlights more a failure of maintenance computer systems at MAS than it does a fact that the aircraft was flying with a dead or weak FDR beacon battery. The potential dead battery had no impact with the FDR's ability to function and record data during the flight. The MAS system records the FDR beacon as due for replacement, but doesn't have a computerised report signed off to show it was carried out. 10. The real question to ask, if the pinger beacon on the FDR was weak or expired, is what impact would this have had on earlier searches conducted? It leaves the possibility that the FDR may have been present in an area searched in March/April 2014. 11. Once again, and not the first time, MAS seem to be changing their data records on what was reported in the first weeks and months of the search. 12. There is little or no reference to the search itself, and drift patterns of debris and pronouncements made last year about where debris should wash up if the SIO is in the right area. After one year, I'd expect a little more conviction in a report as to the validity of its search and what it is based on. The search is set to conclude in May 2015 with approximately 44% of the priority search area covered. The head of the MH370 investigation and Malaysian government haver indicated that if the current search concludes with no evidence, then a period of re-assessment of all available data may occur before the next phase of the search is agreed. On 29 July 2015, aircraft debris was found on a beach in Saint-André, on Réunion, an island in the western Indian Ocean, about 4,000 km (2,200 nmi; 2,500 mi) west of the underwater search area. The object had a stenciled internal marking "657 BB," consistent with the code for a portion of a right wing flaperon (a trailing edge control surface) from a Boeing 777. In September 2015, the flaperon was confirmed to belong to MH370. The Malaysian accident investigation team released a brief 3-page interim report on the 2nd anniversary of the loss of MH370. On 2 March 2016, it was reported that an object (with the text "no step" on it) had been found off the coast of Mozambique and early photographic analysis suggested it could have come from the aircraft's horizontal stabilizer. It was found in late February by Blaine Gibson on a sandbank in the Mozambique Channel, between Mozambique in eastern Africa and Madagascar; and in the same part of the southern Indian Ocean where the only confirmed piece of debris, a flaperon, had been found the previous July. The fragment was sent to Australia where experts examined whether it originated from Flight 370. In December 2015, Liam Lotter found a grey piece of debris on a beach in southern Mozambique, but only after he read in March 2016 about Gibson's find (some 300 kilometers from his find) did his family alert authorities. It was flown to Australia for analysis. Later in March, Australian officials said that it was highly likely that both pieces of debris were from Flight 370, and Malaysian authorities confirmed that with almost certainty it had originated from the flight; transport Minister Darren Chester said that investigators had found the pieces were consistent with panels from a Malaysia Airlines Boeing 777 aircraft. On 24 March 2016, the Geoscience Australia and ATSB confirmed that two panels recovered from Mozambique match that of a Malaysia Airlines Boeing 777. The location where both pieces were retrieved was found to be consistent with the drift model performed by CSIRO further corroborating it could have come from Flight 370. In April 2016, the Australian analysis concluded that the Mozambique debris had "almost certainly" originated from the airplane. The items have been identified as coming from the right stabiliser and right wing respectively. On 7 March 2016 more debris, possibly from the aircraft, was found on the island of Réunion. Ab Aziz Kaprawi, Malaysia's Deputy Transport Minister, said that "an unidentified grey item with a blue border", might be linked to Flight 370. Both Malaysian and Australian authorities, coordinating the search in the South Indian Ocean, sent teams to verify whether the debris was from the missing aircraft. On 21 March 2016, South African based archaeologist Neels Kruger found a fragment with a partial "Rolls Royce" engine manufacturers logo on a beach near Mossel Bay, South Africa. An acknowledgement of a possible part of an engine cowling was made by the Malaysian Ministry of Transport. An additional piece of possible debris, suggested to have come from the interior of the aircraft, was found on the island of Rodrigues, Mauritius, in late March and was to be examined by Australian authorities. On 11 May 2016, the authority determined that these two pieces of debris are "almost certainly" from MH370. On 24 June 2016, the Australian Transport Minister, Darren Chester, said that a piece of aircraft debris was found on Pemba Island, off the coast of Tanzania. It was later identified as a right outboard wing flap belonging to 9M-MRO, and along with a flaperon discovered on the island of La Reunion, it was concluded that both were set in a retracted (non-landing) position. The First Principles Review meeting on the search for missing Malaysia Airlines flight MH370 held in Canberra from 2 to 4 November 2016. Participants consisted of experts in data processing, satellite communications, accident investigation, aircraft performance, flight operations, sonar data, acoustic data and oceanography. The purpose of the meeting was to reassess and validate existing evidence and to identify any new analysis that may assist in identifying the location of the missing aircraft. A comprehensive report was released soon after the meeting identifying a new area of search to the north east of the ongoing search zone in the southern part of the Indian Ocean. The JACC confirmed in a joint communique statement that the search of the 120,000 sq km zone had been completed and the search would be suspended pending new credible evidence that could lead to a more precise sea area to search for the missing aircraft. The 3rd interim report was published on March 8th, 2017. Relatives of MH370 families and support group, Voice370 announced that it would examine the feasibility of conducting an 'alternatively' funded sea search for the wreckage of the aircraft in the southern Indian Ocean following the publication of a final report later in 2017. The ATSB released its Final Sea Search report and recommended a new search zone north of the Fugro search zone based on new analysis of debris finds and drift analysis. The Malaysia government confirmed on January 10th that the search for the seabed wreckage of MH370 would start again following a signed agreement with exploration company Ocean Infinity. The vessel Seabed Constructor is due to arrive in a newly refined priority area in the South Indian Ocean on January 21st. The terms of the contract are based on a 'no cure-no fee' and 90 day search deal. At the end of January 2018, Ocean Infinity's search vessel Seabed Constructor completed its scans of the Priority zone. The Malaysia government, in its first official weekly report, confirmed that no objects/targets of significance had been detected in the Priority zones searched (#1, 2 & 3) inside and outside of the 7th arc. A search of the Secondary and Tertiary zones will begin in the second week of February following a port call by the vessel to Fremantle, Australia. The second search for the seabed wreckage of Malaysia Airlines flight MH370 concluded in May, 2018, having covered a search area of more than 112,000 km2, stretching as far north as the 24 degree latitude. No trace of the aircraft was found. The ICAO Annex 13 Safety Investigation Team published a full report in July, 2018 (see links above). It concluded that the aircraft was deliberately turned after waypoint IGARI and likely flown manually (at least for some period of its deviated flight path), without autopilot mode engaged. While also concluding that it could find no evidence the aircraft was flown by anyone other than the two pilots, it could not exclude a third party.